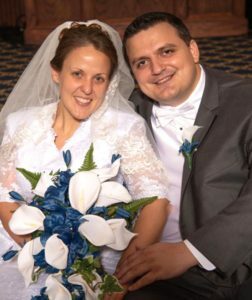 Dana Goehring, daughter of David and Janet Goehring of Columbiana, and Jeffrey Looker, son of Michael and Denise Looker of Stow, were united in marriage in a double-ring ceremony at 4:30 p.m. April 7 at the First Christian Church of Columbiana. John Reed officiated. Music was provided by Elegant Strings. The bride was escorted by her father and given in marriage by her parents. Her strapless sweetheart A-line gown was enhanced with pearls, sequins and rhinestones and she wore a cathedral-length veil trimmed in jewels and pearls. The bride carried a brooch bouquet of ivory calla lilies and white roses designed by Dale Murray. Her attendants were attired in street-length dresses in shades of pacific and malibu blue and carried hand-tied bouquets of ivory calla lilies, purple heather and berries. 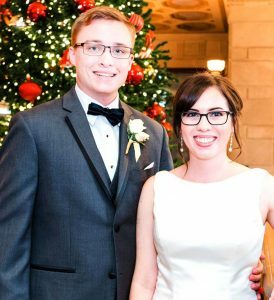 The bride’s sister, Megan Goehring, served as maid of honor. Bridesmaids were Angela Grate, Abby Arner and Chelsey Kirkland. 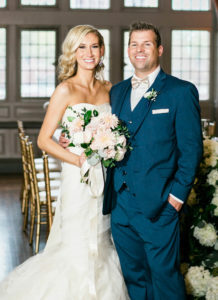 Chad Pittman served as best man. Groomsmen were Martin Chaffin, Matthew Doyle and Jeremy Holm. Approximately 150 guests attended the reception at the Dutch Village Inn in Columbiana. 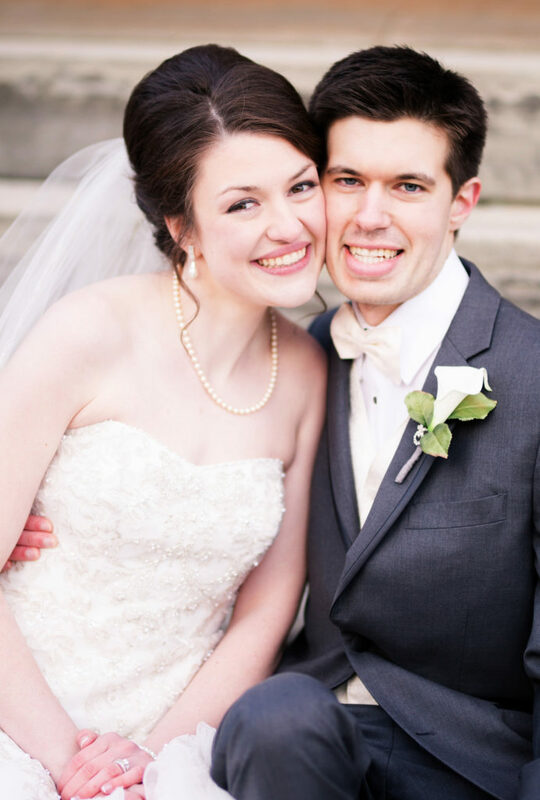 Following a honeymoon in Hilton Head, S. C., the couple resides in Cuyahoga Falls. 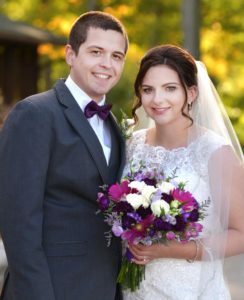 The bride received a bachelor’s of arts degree in writing and public relations from the University of Mount Union in Alliance in 2016. She is employed by the university as an assistant clinical coordinator in the physical therapy program. 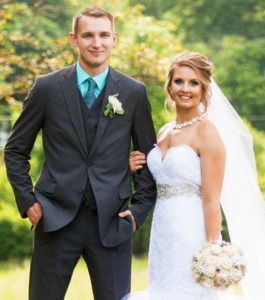 The bridegroom received a bachelor’s of arts degree in integrated media from the University of Mount Union in 2014. He is employed as a production assistant and volunteer coordinator for Summit Radio, 91.3 in Akron and 90.7 in Youngstown.